It is a pleasure to work with AT&T bringing their cargo to Puerto Rico. They are investing in the infrastructure of the island putting in finer optic systems underground. Their towers are all being upgraded to handle data better then before Hurricane Maria and with systems that can withstand another hurricane. You can see the 400 ton crane we brought in here working. The union crew made short work of this operation even though the vessel was delayed on entry and we couldn't start unloading until two in the afternoon. Delicate and expensive telecommunications equipment and finer optic reels were loaded on the Timbalier Island in Port Fourchon, Louisiana and all arrived quickly (she's a fast ship) and in perfect condition. The large crane makes short work of the cargo easily lifting several reels at a time. The port of San Juan is very busy with all the supplies coming for Puerto Rico post hurricanes Irma and Maria. 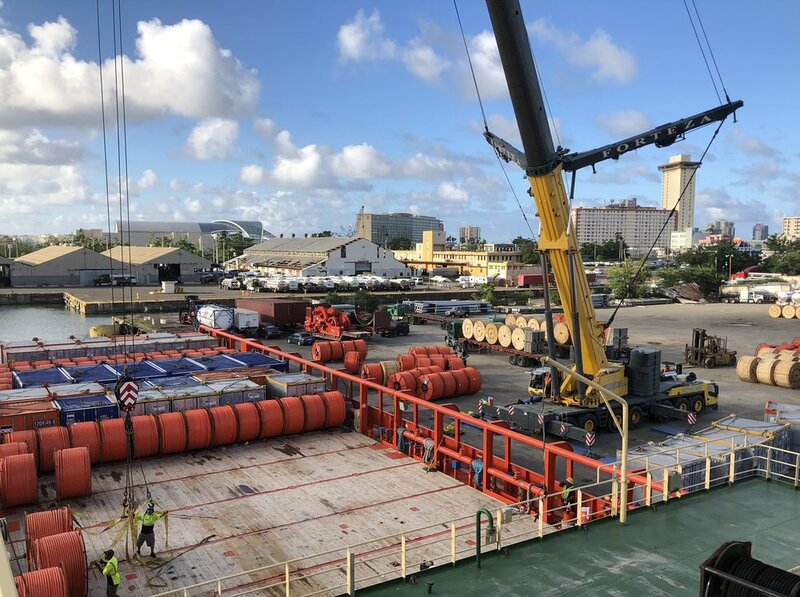 We have brought in relief cargo, electrical company utility trucks and equipment, telecommunications equipment like this voyage and everything else the island needs to get back on its feet. Blue Water Maritime also works with other ports such as Yabucoa, Ponce and Roosevelt Roads to take some of the strain off of San Juan which has every berth slotted with ships and all the cargo operations busy with moving merchandise. 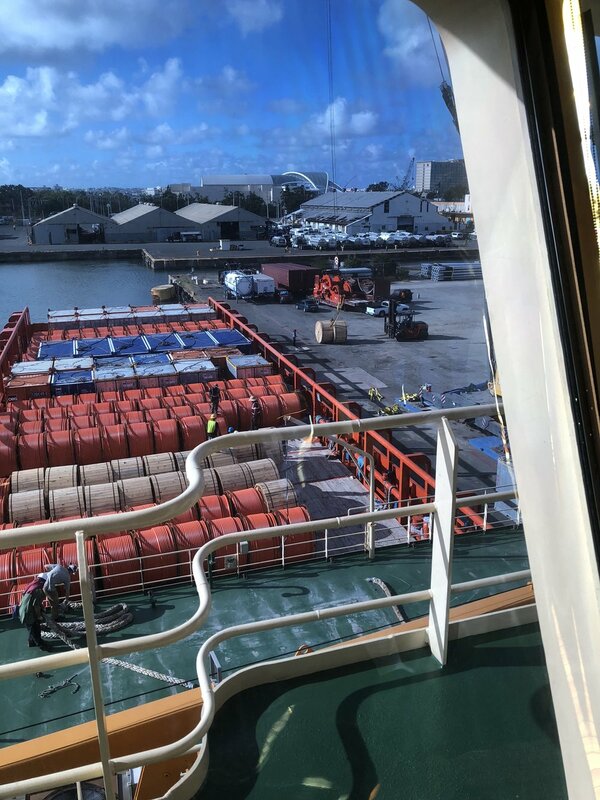 At the end of the day we have the deck clear of cargo, the empty containers back loaded, and the cargo on it's way to AT&T's local warehouse in Cataño.